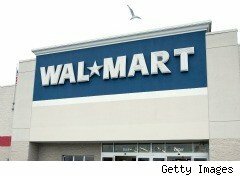 Walmart banks its repuation on having the lowest prices during the holidays, those low prices are touted on toys and electronics as gift items more than any other category. But according to an internal email, the retailer did the opposite in December, as managment asked Walmart stores to raise prices on hot toys. According to Bloomberg news, an email circulated within the company instructed store managers to raise toy prices to ensure a profitable month of sales. A Walmart spokesman then told Bloomberg this was merely a standard response as "rollback" prices returned to normal.Walmart is the nation's largest toy seller and fiercely competes with Toys R Us and Target for the position. It nearly doubled the floor space devoted to toys this year, and nine days before Christmas it's out of stock on many popular items, including Nerf and Blaster toys and the Xbox Kinect. Toys R Us has the toys in stock and continues to run sales and promotions through the holiday. More sales on toys and other gift items start at 9 p.m. Dec. 17 at Walmart, with markdowns of as much as 50% on some items and gift cards of up to $100 on purchases of others. For those who might think Walmart's overall sales have suffered because of this, think again. The discounter seems to be handily beating the competition in key categories. It hasn't released sales yet, but Best Buy's sales actually declined 1% in November, and stiff competition from the likes of Walmart, Target and Amazon are likely the reasons why (along with super low prices on TVs compared to last year). As for these higher toy prices, it's hard to say if anyone has been overpaying at Walmart. That popular Nerf N-Strike Stampede ECS-50 Blaster is still in stock and $39 on Walmart's website with $.97 shipping. Toys R Us has it listed for $54.99.